For some reason, my late wife has been on my mind lately. As a result, I’d like to post something that came to me during one of these moments. I know exactly when the act of inhaling and exhaling became something more than simply breathing. I remember when it became breathsong. Subconsciously, I had accepted the concept long ago, but understanding it as song came clear as my wife lay in an ICU, her lungs tortured by pneumonia, her breathing measured by machines. Betty had a long history with the illness. She’d contracted it once many years back. In later years, she had “walking pneumonia” five times in one twelve-month period, something that required medical attention but not hospitalization. Unfortunately, she had an even longer history with tobacco. She began smoking at age sixteen and continued unabated until her arrival at the ICU unit at University Hospital. She routinely smoked two packs a day in the fifty-five years I’d known her. As a matter of fact, before we married, Betty made me promise not to try to make her stop smoking. When I heard her discussing smoking with a friend one day, I asked if they weren’t bothered by recorded data that showed the use of tobacco could be deadly? I recall their almost identical responses. “Those are statistics. We’re individuals with our own set of genes and stamina and ways of dealing with health issues.” In years hence, I’ve wondered if those two intelligent women realized how dumb they sounded at that moment. Betty’s gone now, of course, but I often think about her breathsong. It was a language all its own set to a rhythm, a beat that changed according to the stimulus of the moment. It was full-throated when she drew on her Doral filter-tips. A muted inhale followed by a satisfied whoosh, signifying pleasure. It was slow and languid when cuddling one of our sons as he slept in her arms. Sharp and irritated when the other grew mischievous. Her breath could speak of anger or displeasure (usually with me) as distinctly as it could express forgiveness. It was a clear warning to the boys when they had earned her displeasure. It could signal anything: excitement, fatigue, love, displeasure…and especially the passing of an emotional storm. Her breath bespoke of love at times of personal intimacy, awe when first laying eyes on the Valles Caldera, surprise at a birthday or an anniversary. And I remember arriving at the hospital the day the song died. Oh, how I miss that breathsong. Thanks for letting me get that out of my system. I hope the concept of breath as a song, as a language struck a cord with you. Feel free to contact me at dontravis21@gmail.com. As always, thanks for being readers. I seem to have an occasional compulsion for confessing foolishness and foibles as practiced by Donald Travis. There are plenty to select from… and believe me, I’m very selective. A few weeks ago, the writing class I co-host reviewed the uses of the grammatical mark we call a semicolon. You know, that thing you don’t really understand but throw into your writing now and then for variety’s sake. Its most glaring peculiarity seems to be that (together with big brother Colon) it’s the only grammatical that goes outside quotation marks. If that isn’t enough for you, take a look at the thing: [;]. It’s a big dot in the middle of the line of type with a menacing claw attached to it. That should be enough to warn anyone away except for the bravest… or the foolish. At any rate, I recognized that during our class discussion the subject of semicolons in dialogue would come up. Although the style book I use is silent on that particular subject, I had been taught that you do not use semicolons inside dialogue because in spoken conversation, semicolons cannot be heard. Nonetheless, I contacted my chief editor at Dreamspinner, a very helpful British lady named Sue Adams. She confirmed their practice is moving toward expunging semicolons from dialogue whenever they discover the errant little creatures. So at the very next Wordwrights Writing Class, I went forth and preached the holy text. 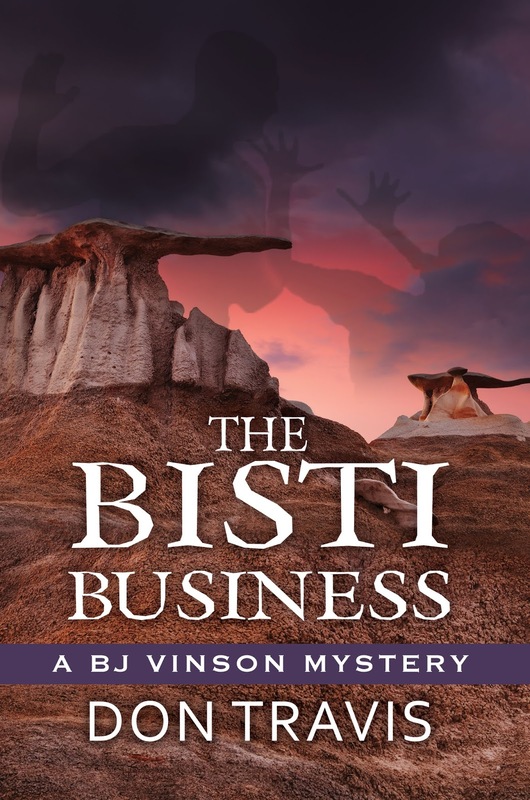 Last Saturday, I completed my review of the “Author” edit of THE BISTI BUSINESS, which is what Dreamspinner Press calls their first review of a manuscript. Their editing department uses the Word Track Changes program for the process. I must admit it was very disconcerting to see bubbles saying the Author suggested this and recommended that or (worse yet) quoted Chicago Manual of Style. I was the author, wasn’t I? After accepting their concept, I waded through the assault on my manuscript. The first time the editor recommended I change a semicolon to a comma within dialogue, I assured Nicole (the editor of this first edit) this was a typo, as I never used them in this manner. In addition, I taught this to my class. The second time she recommended a semicolon inside dialogue be changed to a period, I admitted she had just made a liar out of me. On the fourth one, I confessed to embarrassment. The tenth? Mortification. After the twentieth, I surrendered and told her to do whatever the hell she wanted with them. Unfortunately, she had ample opportunity to exercise that freedom thereafter. 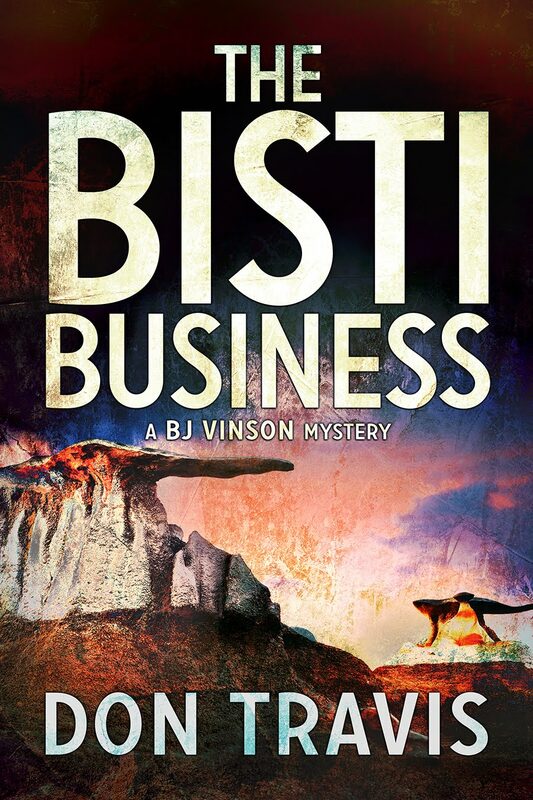 In my feeble defense, THE BISTI BUSINESS was written in 2011. Presumably, even I can learn something in five years’ time. I don’t know, maybe I ought to take a look at all my unpublished manuscripts. Well, that gets confessions behind us for a little while. I hope my self-flagellation was of interest. Thanks for your help, guys. THE ZOZOBRA INCIDENT and THE BISTI BUSINESS covers are now finalized. I am pleased with both of them. Now I’m going through the same process with THE CITY OF ROCKS, so I am soliciting your opinion on that cover, as well. Take a look the proposed artwork and let me know what you think. Your feedback is important. As you can see, this is not a clean copy as it is still in development. 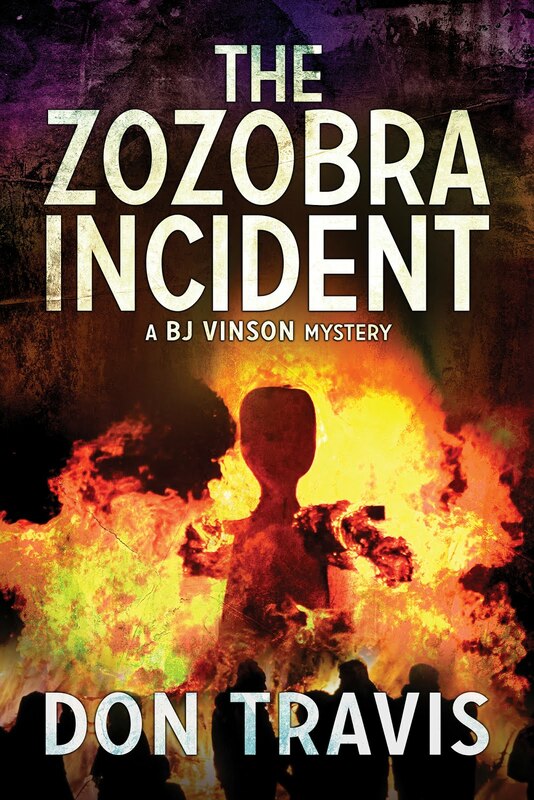 Would like your opinion of the cover for this third book in the BJ Vinson Mystery series. 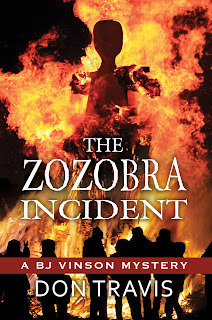 The Zozobra cover is finalized and is a clean copy. 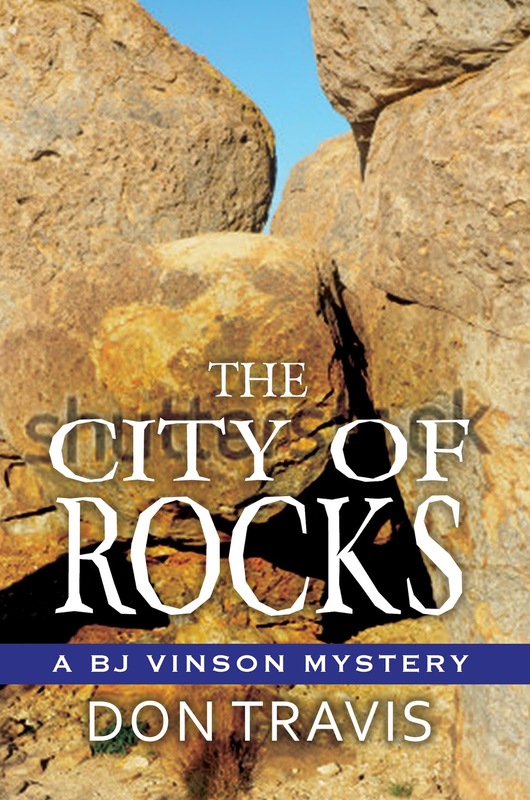 This is the way it will appear on the book. 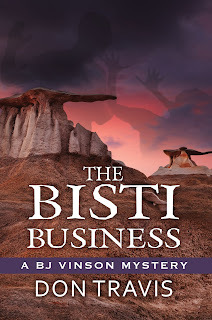 The Bisti Cover is also finalized. Love the hoodoos! 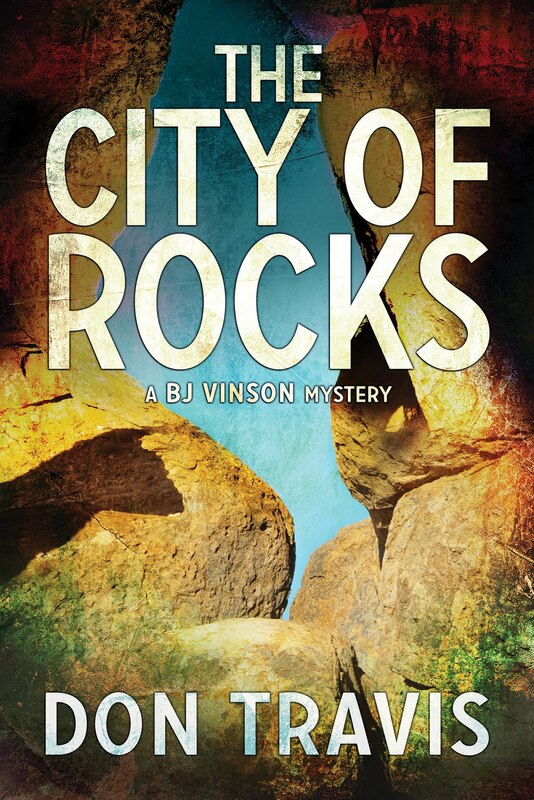 There they are, the covers for the first three books in the BJ Vinson series. The first draft of the fourth book (with a working title of THE LOVELY PINES) is now about 40 percent completed. Thanks for your help in getting this far. Please give me your opinions and comments at dontravis21@gmail.com. As always, thanks for being readers.